Millennials are now the largest demographic group. It’d be hard to miss that news, unless you’ve spent the past couple years in a cave, disconnected. Countless articles and research papers have been written about this massive group — 79 million in the US and nearly 14 million in the UK. 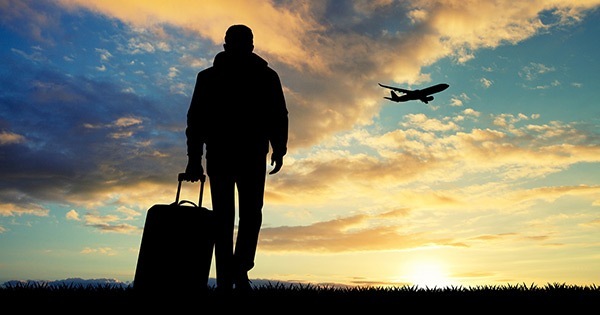 Representing 25% of US business travelers, they are more likely to be a “bleisure” traveler than older business travelers, and it’s estimated they will spend $1.4 trillion annually on travel before 2020. (huffingtonpost.com) Does focusing on their needs mean jeopardizing long-standing relationships with older travelers? Not necessarily. What are millennials embracing that appeals to others? First and foremost — valuing their experience versus valuing things. “Experiences” might be ecotourism tours (Borneo), competitive travel (rickshaw races), vanishing destinations (Machu Picchu), newly open places (Cuba), or simply traveling to an ordinary destination and using Airbnb to stay at a local’s home. The common denominator is a creative itinerary offering a very real, very personal experience. In a recent report, GBTA found that more than 54% of all business travelers use social media sites at least once a day, and another study found that 97% of millennials post whether traveling for business, leisure or “bleisure”(75% post daily). Social media use by GenXers and Boomers business travelers is now 56% and 34%, respectively. More than staying connected and updating friends and family about their trip, social media sites give millennials inspiration. In an article last year, Internet Marketing Inc. included an infographic that reported 76% of millennials select their travel location based on friends’ recommendations and 87% use Facebook for inspiration. Born with ear buds and texting thumbs, millennials are arguably the most tech-savvy, tech-demanding, tech-visionary generation. More than early adopters, they created our evolving social media world. It may start with them, but GenXers and Boomers follow. Millennial business travelers gravitate to ridesharing and home sharing services. In fact, 44% of millennials prefer to use vacation rental services like Airbnb (curalate.com). In their white paper “2016 – What it Tells Us About 2017,” MMGY Global reports that 24% of all US travelers used sharing services on vacation in 2016 – a 6% increase over 2015. Using shared services is another way to make a trip personal and unique. Travelers can develop an itinerary with real interactions and “off-the-beaten-path” experiences.